The birth control pill depletes nutrients and minerals in your body via a number of different mechanisms. The longer you’re on hormonal birth control, the more nutrient deficient you can become as the effects are cumulative and insidious. The pill has a similar impact to antibiotics on your gut health or microbiome, preventing proper absorption of the vitamins you do take in via your diet or supplements while still on the pill. Many medications deplete nutrients (there’s even a term for it – Drug-Induced Nutrient Depletion), but the pill has a more powerful impact than most, partly because of how it works to suppress your body’s hormone cycle, and partly because it is often taken for years or even decades by otherwise healthy women. When you’re coming off the birth control pill, your body needs nutrients and minerals in order to manufacture and process its own hormones again. On hormonal birth control, your body is prevented from producing its own hormones and, instead, relies on the hormone replacement of the pill. So when going off these medications, you need to give your body some support to make sure your period returns, your cycles are regular, and you avoid symptoms like acne or cramps. We’ve turned to our favorite women’s health coaches and hormone experts to source the right supplements to take for your transition off the birth control pill. Naturopath Dr. Lara Briden and women’s health coach Nicole Jardim both provide support to women in making the switch from hormonal to hormone-free contraception. 1. Vitex – a powerful herb that can be used post-pill to help your body make hormones again, bring back your period, and regulate your cycle. It’s best to see if your cycle returns of its own accord before employing this supplement, however. If you decide to use Vitex, limit the time you take this herb to three to six months maximum, and then see how your hormones do without it. 2. Probiotics – the affect of the birth control pill on the microbiome, or your gut, can create an imbalance of bad to good bacteria. More and more research is showing that gut health is linked to many systems – like strength of immunity and mental health. As you may know, the birth control pill has been linked to Irritable Bowel Syndrome, Crohn’s Disease, and the development of food sensitivities and allergies. You can take a probiotic supplement or eat a supplementary dose of kimchi or sauerkraut everyday. 3. Magnesium – most women are magnesium-deficient, it’s a mineral that is easily depleted by common lifestyle choices like drinking coffee, and taking the pill can exacerbate this problem. Magnesium is an essential building block for making hormones, but it’s not easy to supplement – try a good quality magnesium oil, epsom salts, or a drinking powder, rather than a regular supplement pill and see what dosage suits you. 4. DIM – many women going off the pill find themselves with estrogen overload or estrogen dominance, wherein they are deficient in progesterone and their estrogen levels are much higher, causing symptoms from weight gain to irregular cycles. 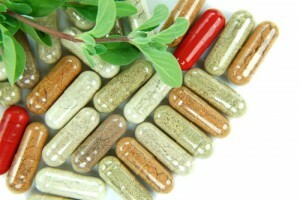 DIM (diindolylmethane) is a nutrient found in leafy greens from kale to chard, but in supplement form it is more potent. It helps to eliminate and eradicate excess estrogen that comes from our external environment (endocrine disruptors in plastics, pesticides, shampoos) and from internal imbalance issues. DIM is especially helpful for avoiding post-pill acne. 5. B Complex – B vitamins are some of the most aggressively depleted by the birth control pill.This is one of the root causes behind the depression and anxiety some women can experience while using these medications. This is why some pharamaceutical companies have experimented with adding B vitamins and folic acid to oral contraceptives (despite the fact that as absorption channels are compromized by the pill, this would not make a significant difference). Supplementing with a good quality B complex, plus additional B6 and B12, will support your body during the transition off the pill. You can now purchase Dr. Lara Briden’s book “Period Repair Manual” direct from the Daysy store. Nicole Jardim’s online support program for going off the pill is now available for just $46 in our store, too, when you also purchase a Daysy. If you already have a Daysy, you can call our customer service line to sign up for the program at the same rate.